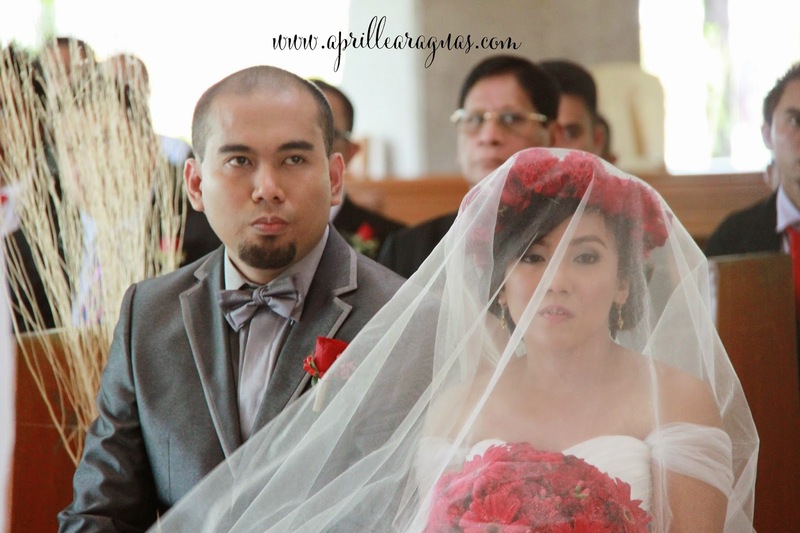 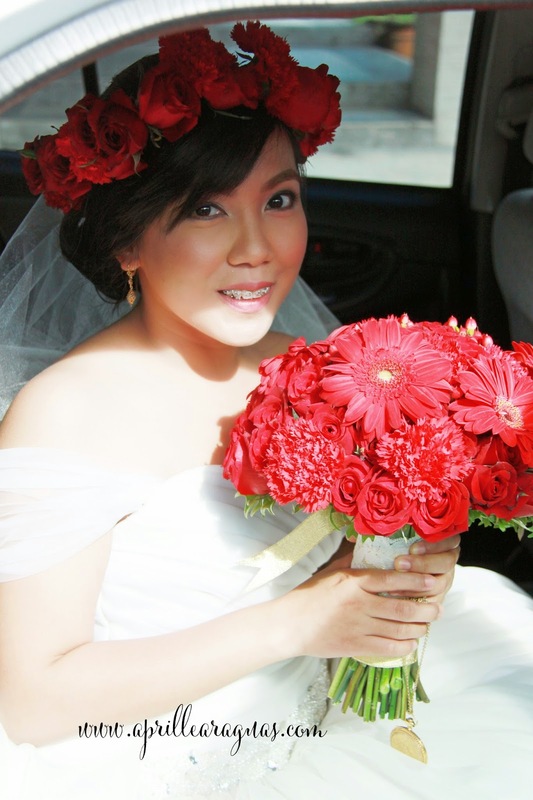 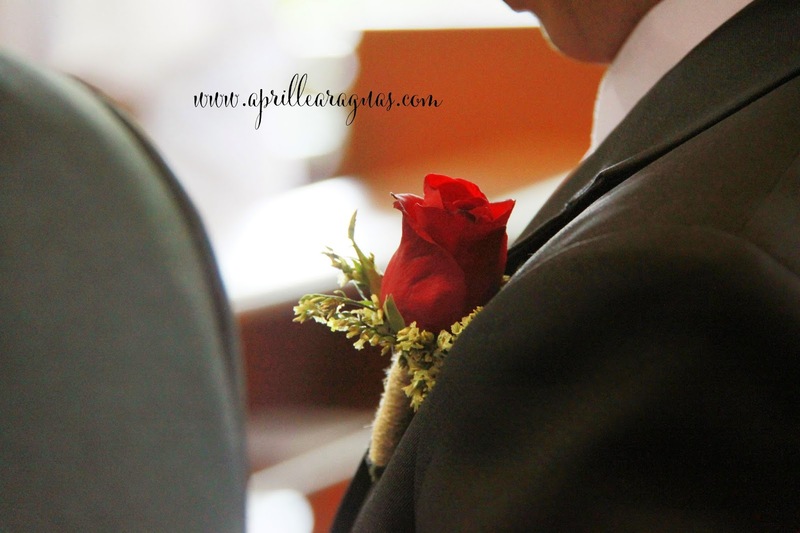 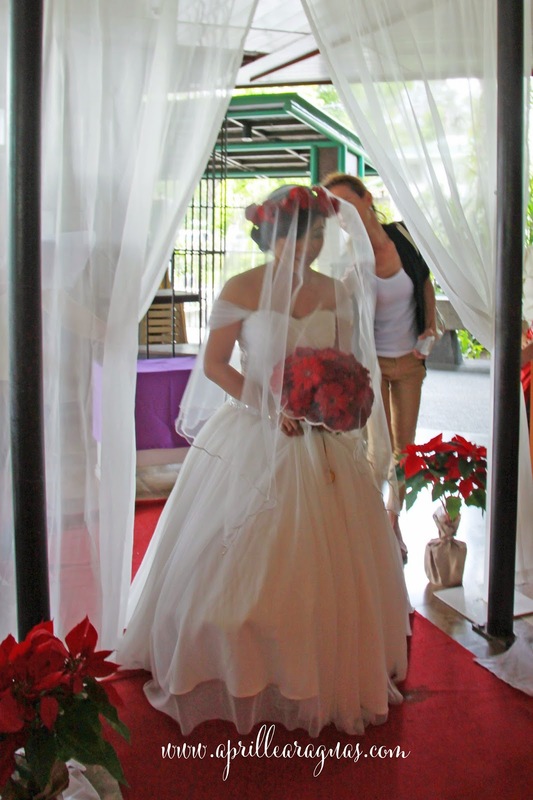 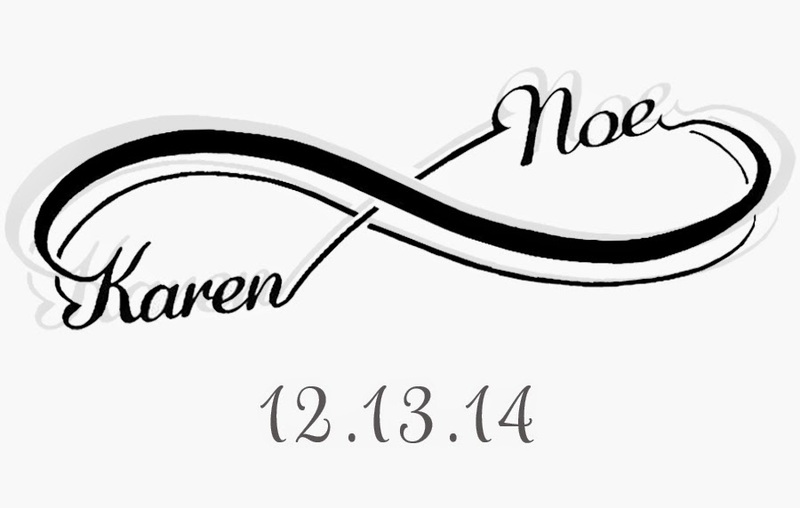 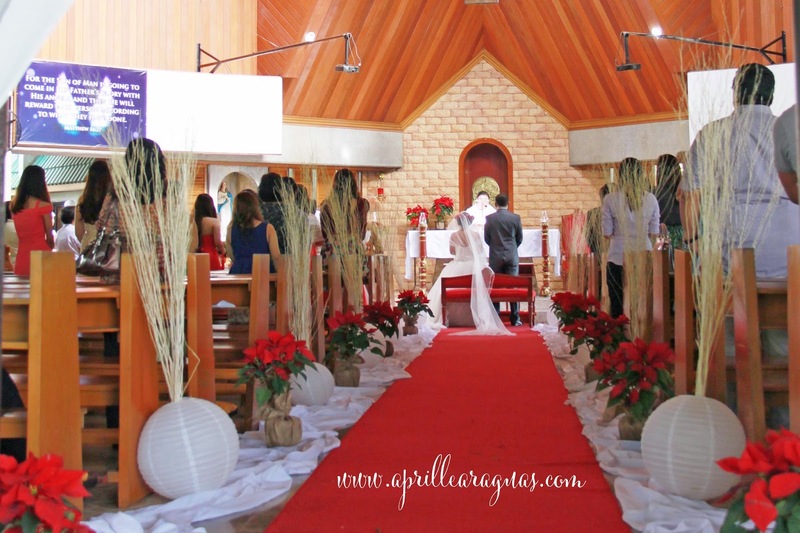 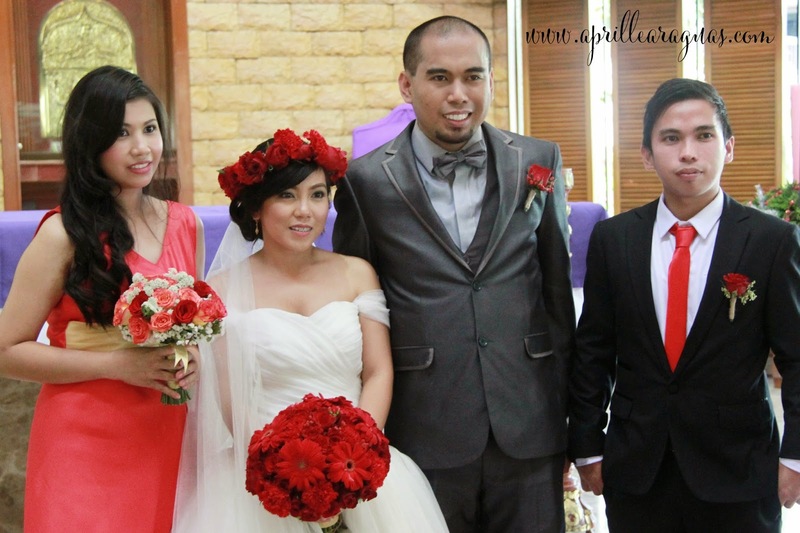 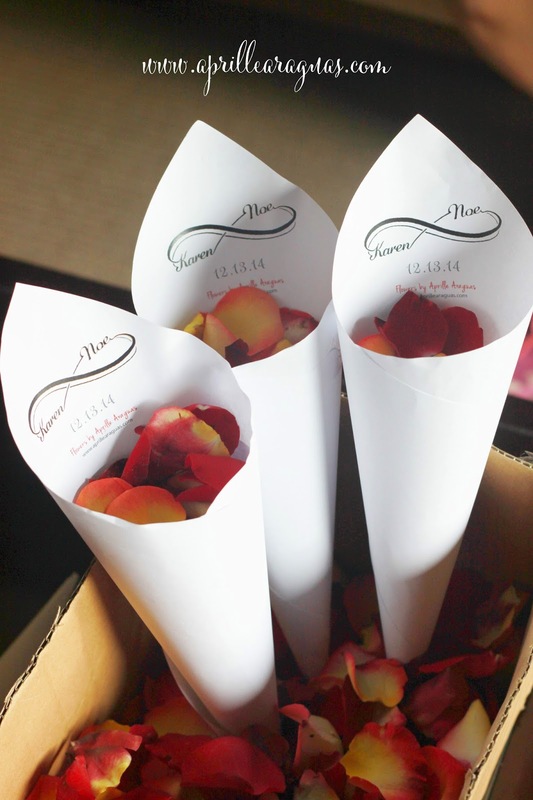 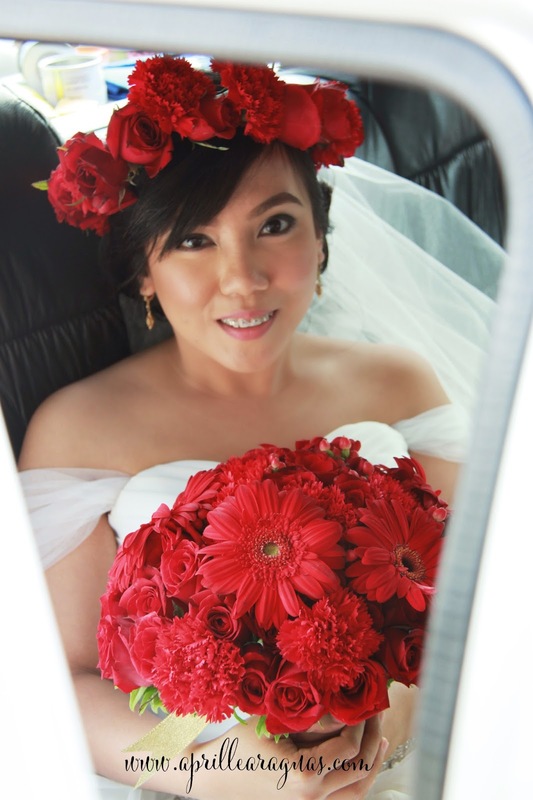 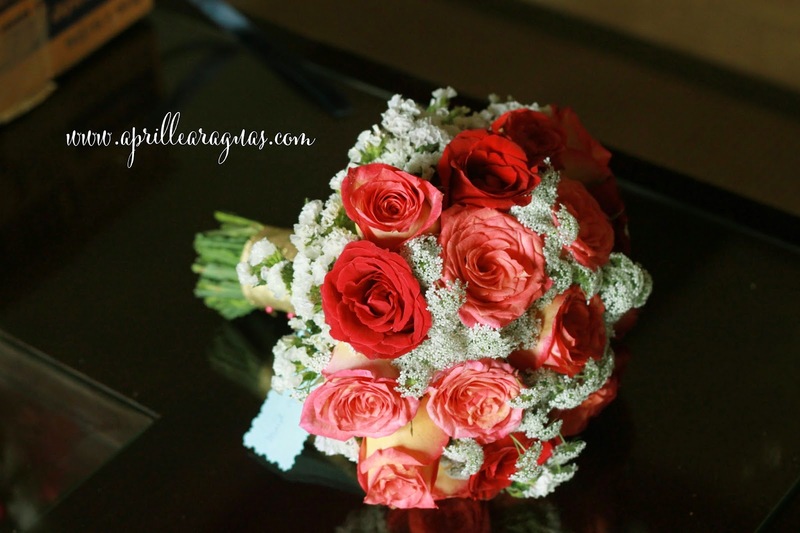 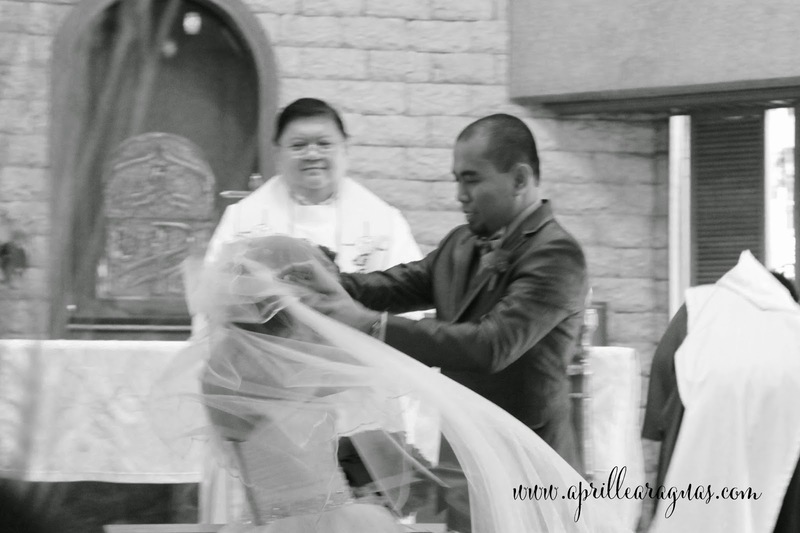 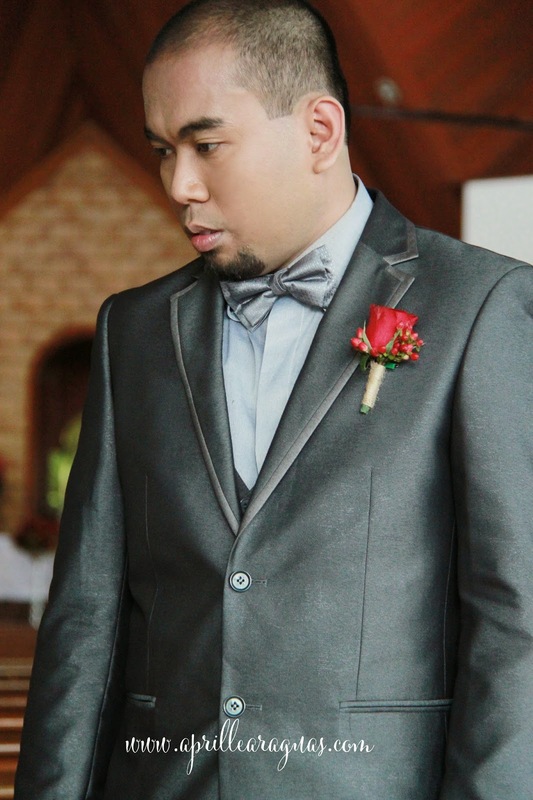 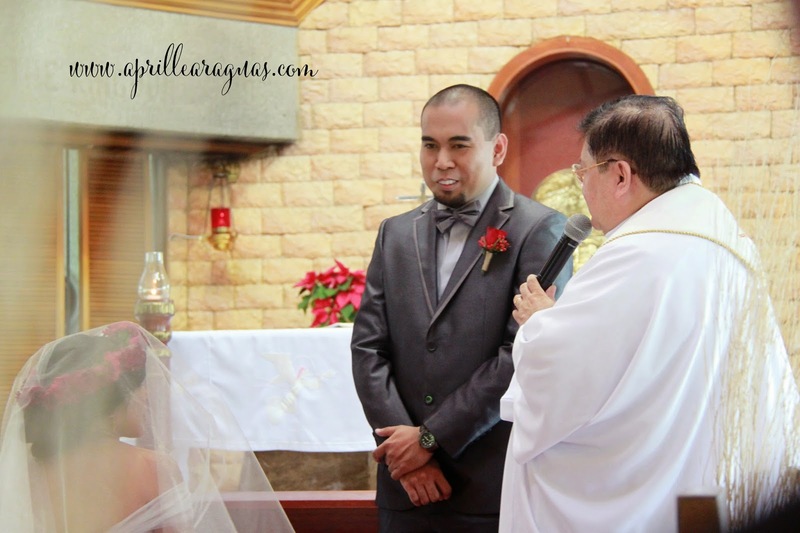 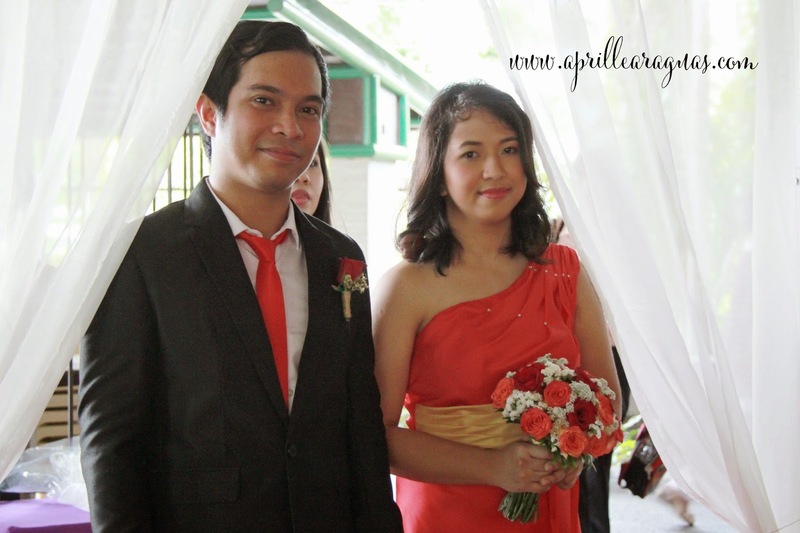 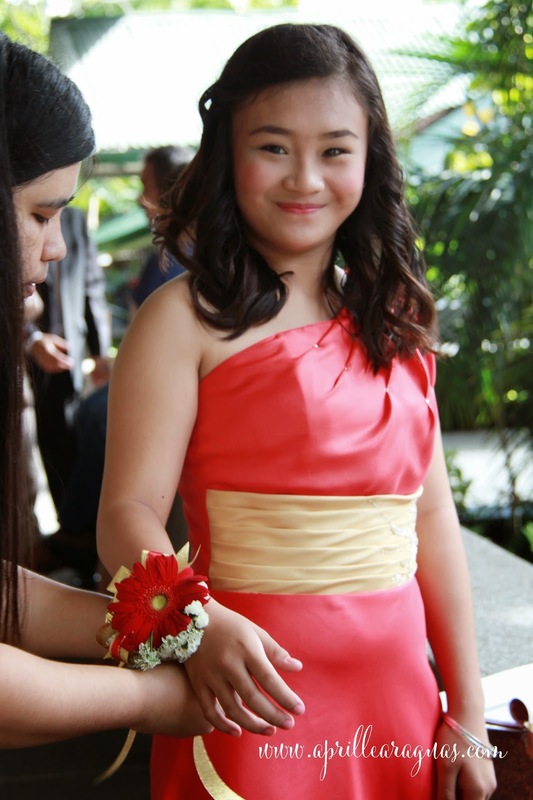 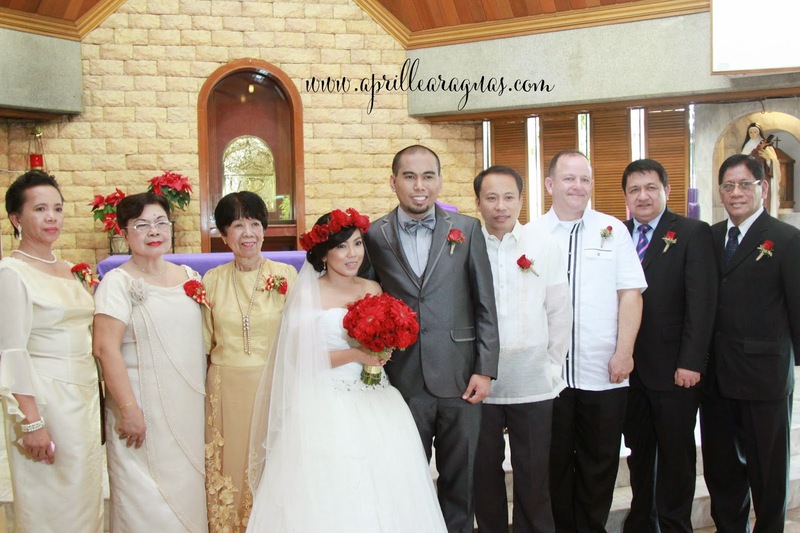 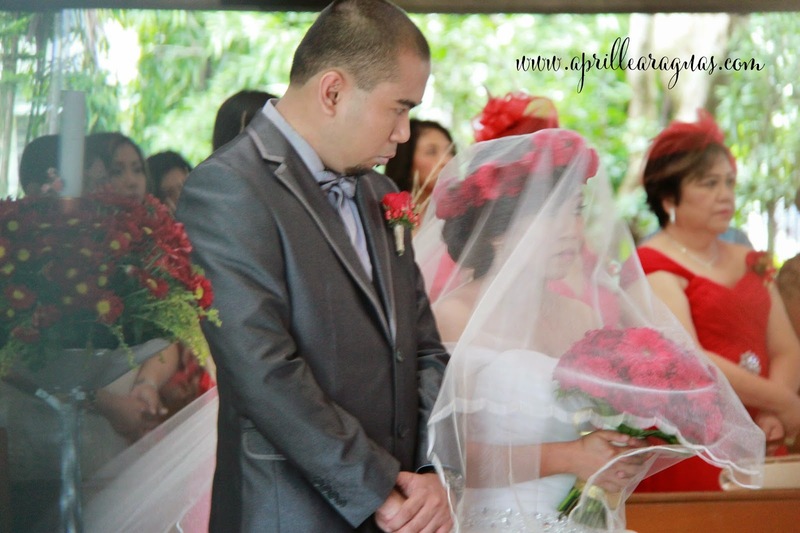 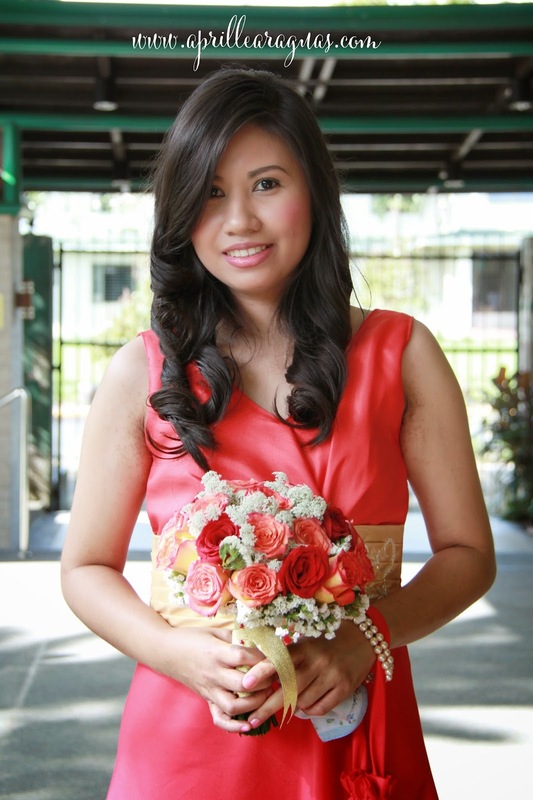 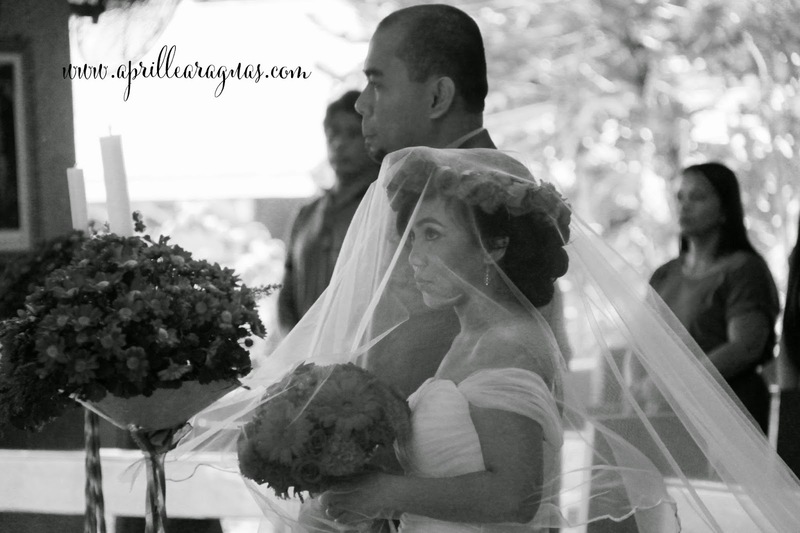 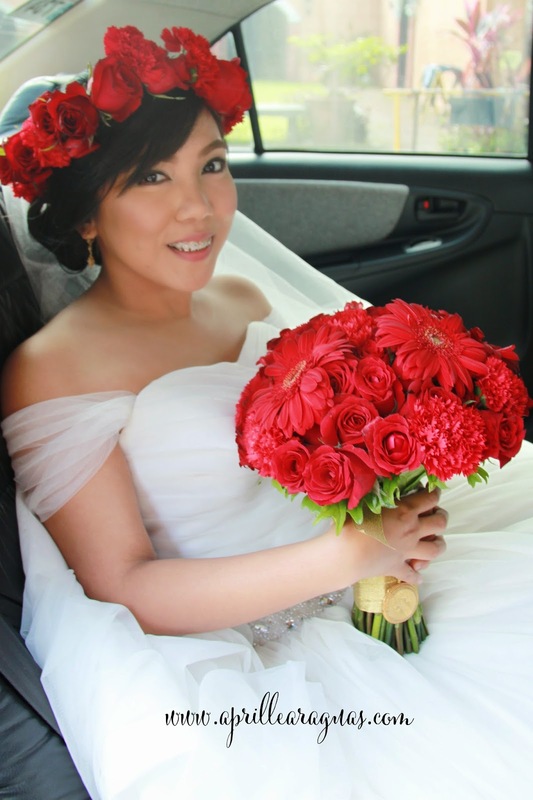 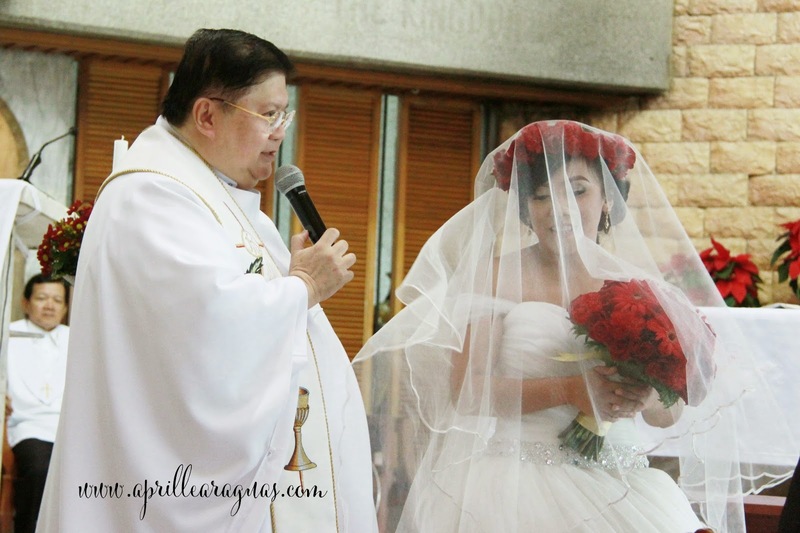 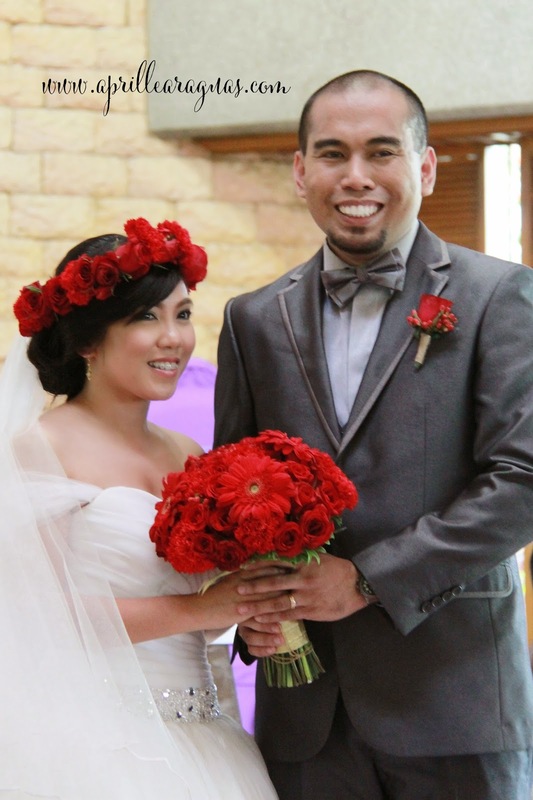 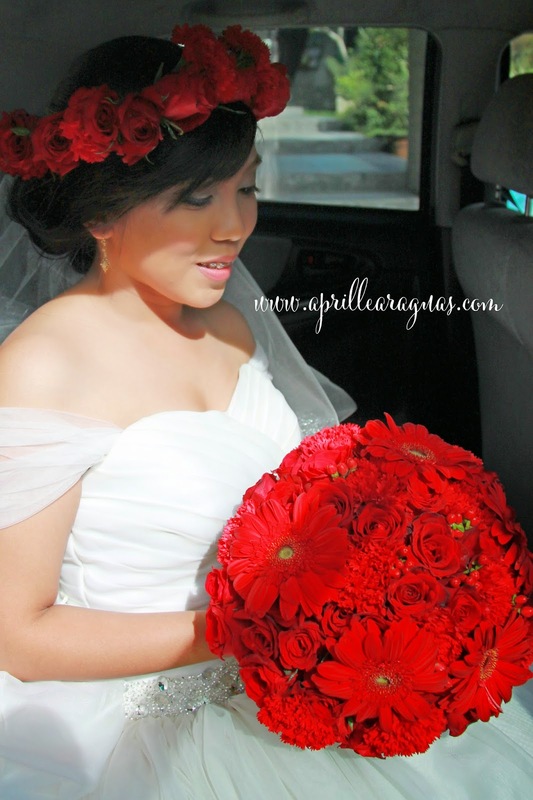 Ms. Karen Isabelle Castro is our first December bride for the year 2014 and we only get to finally meet her in person when we delivered her flowers on the actual date of her wedding day, since all our discussions were done online (via email). 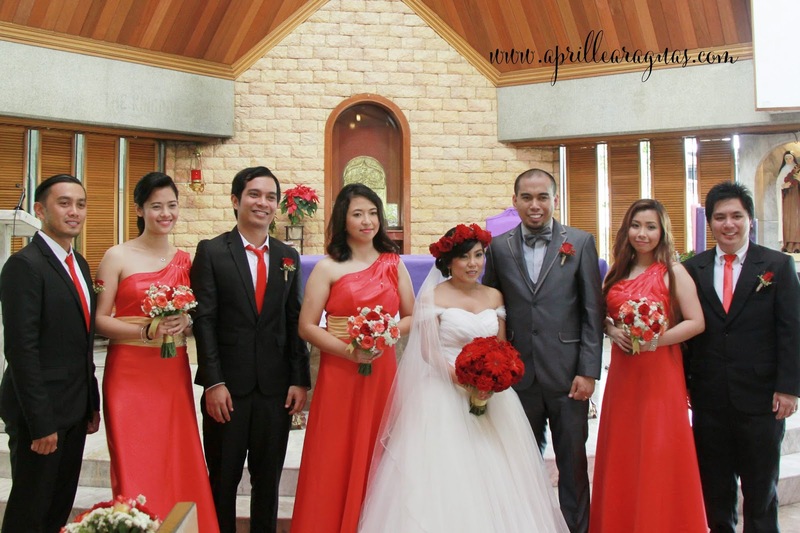 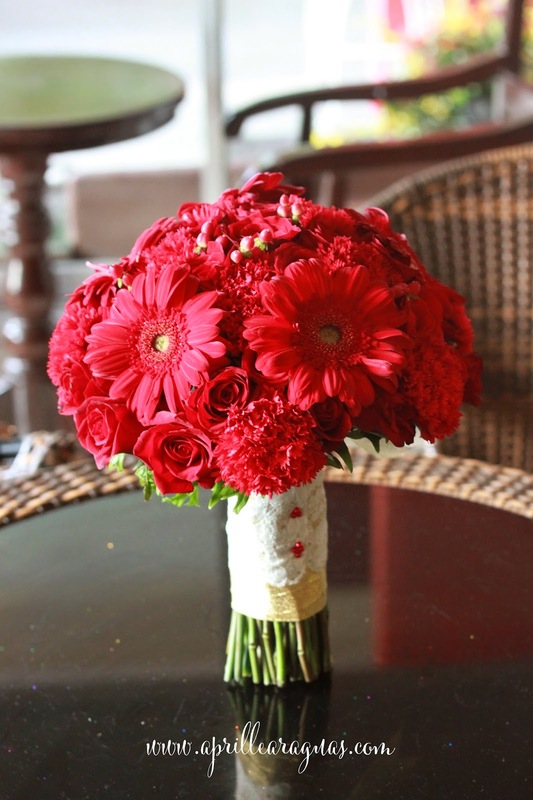 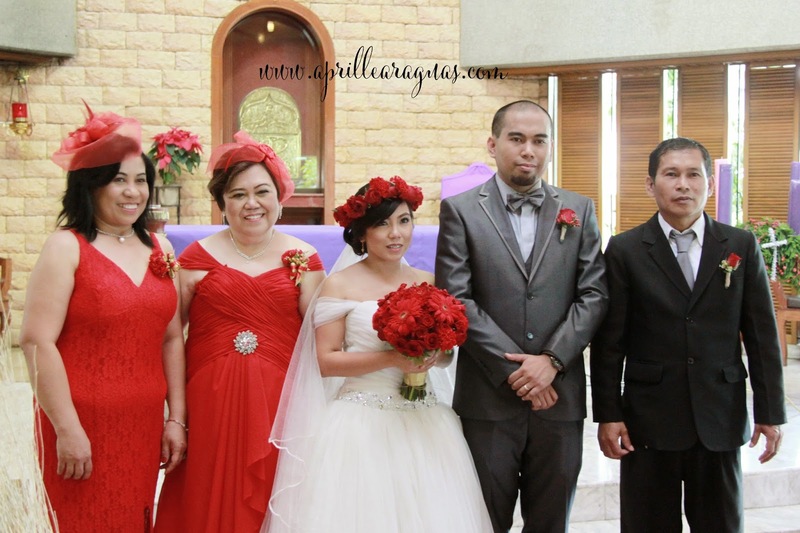 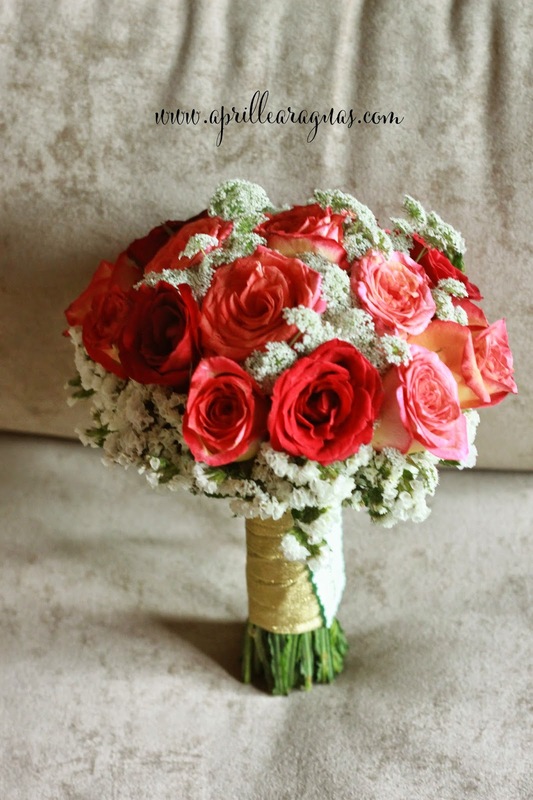 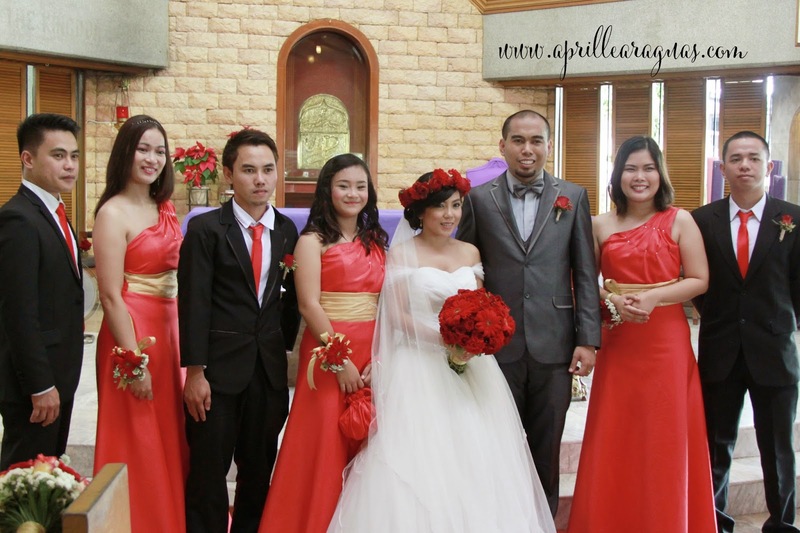 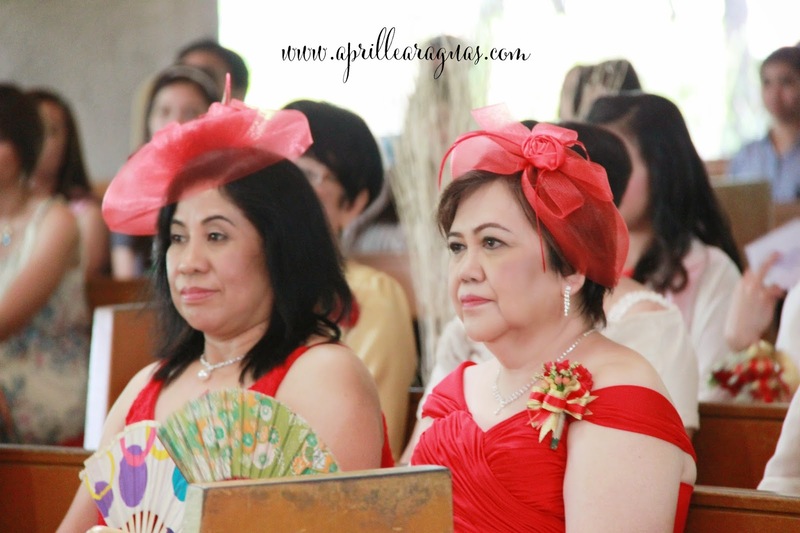 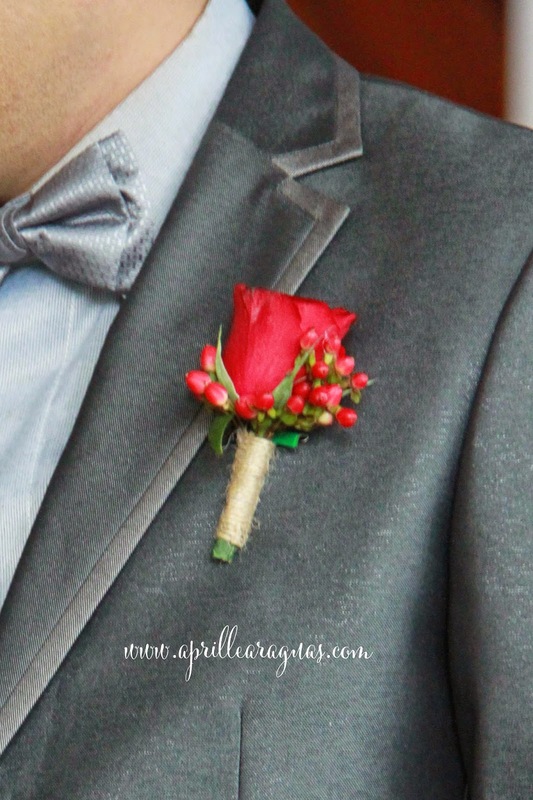 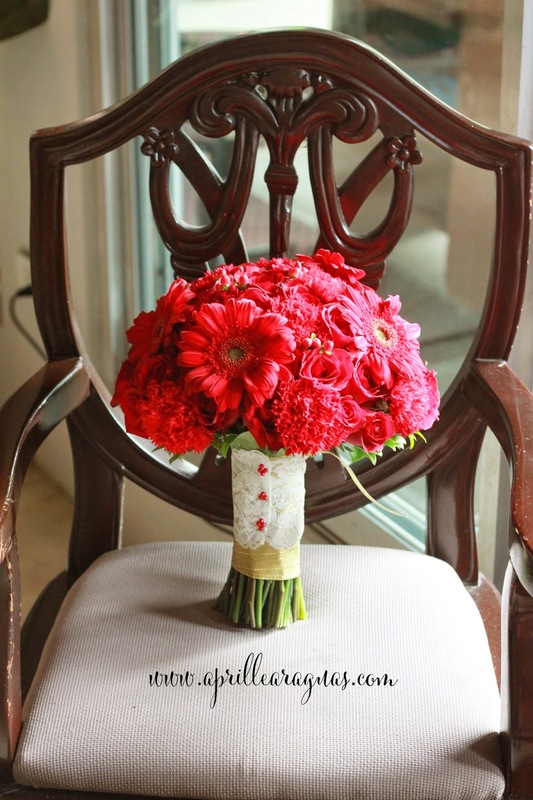 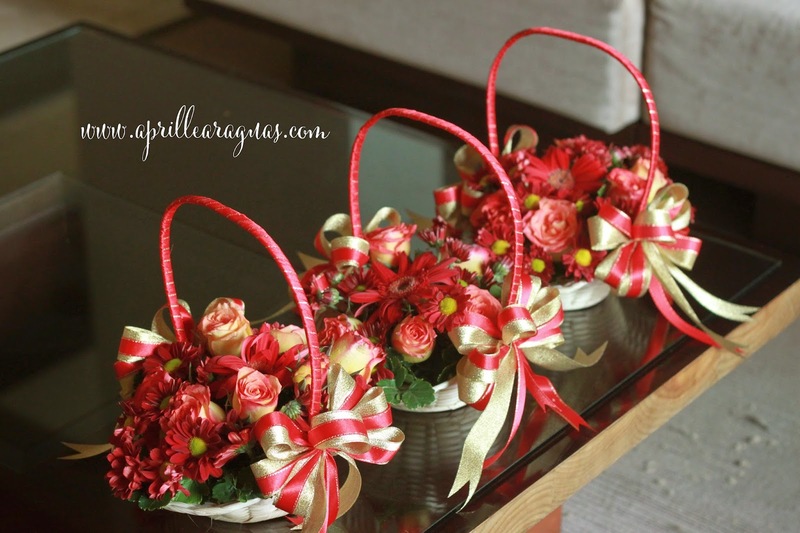 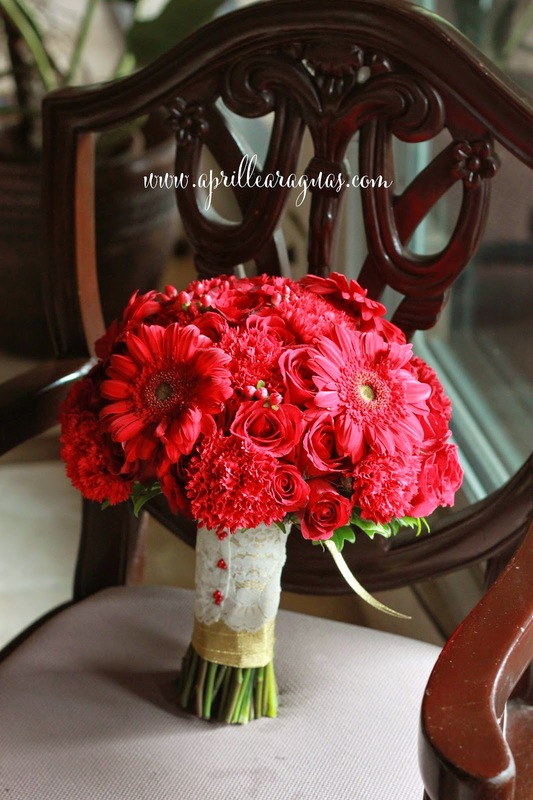 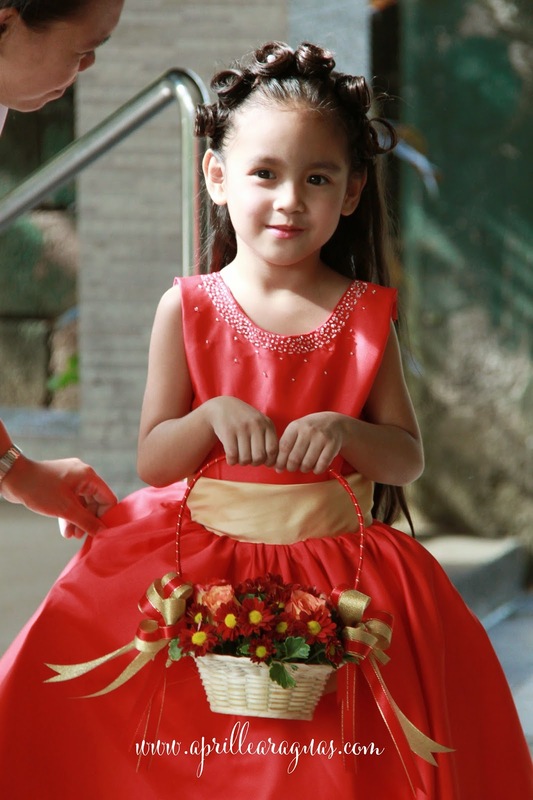 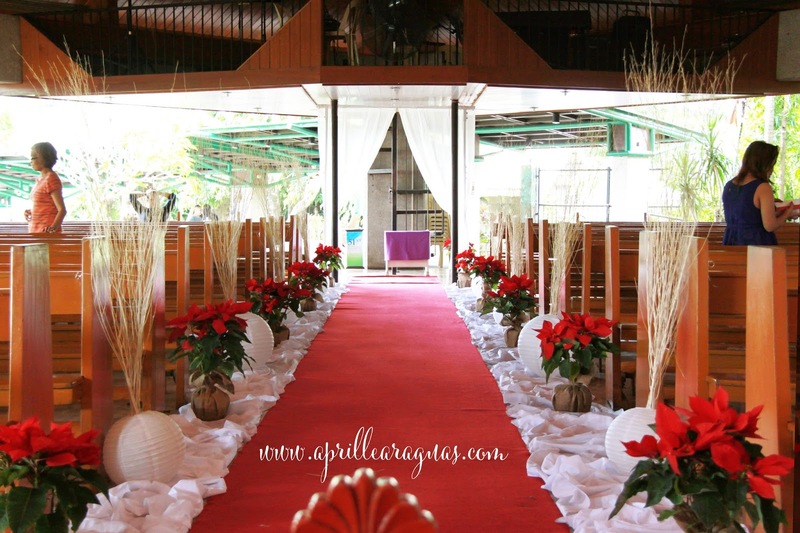 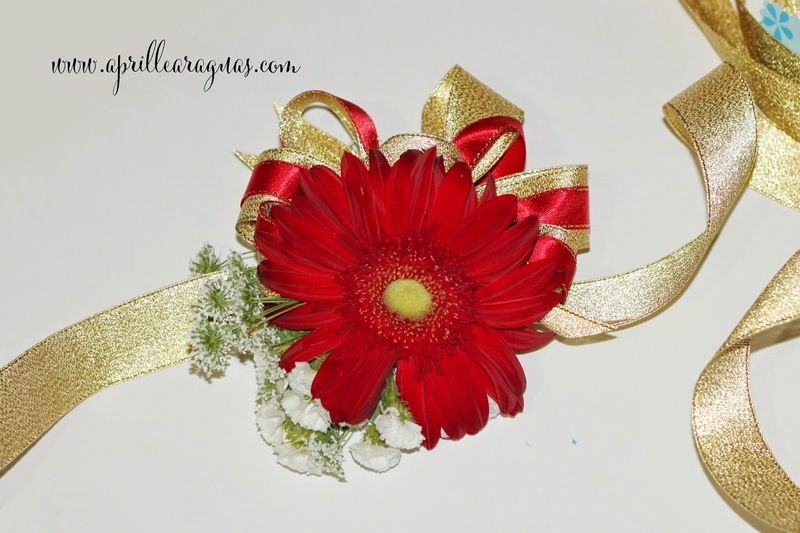 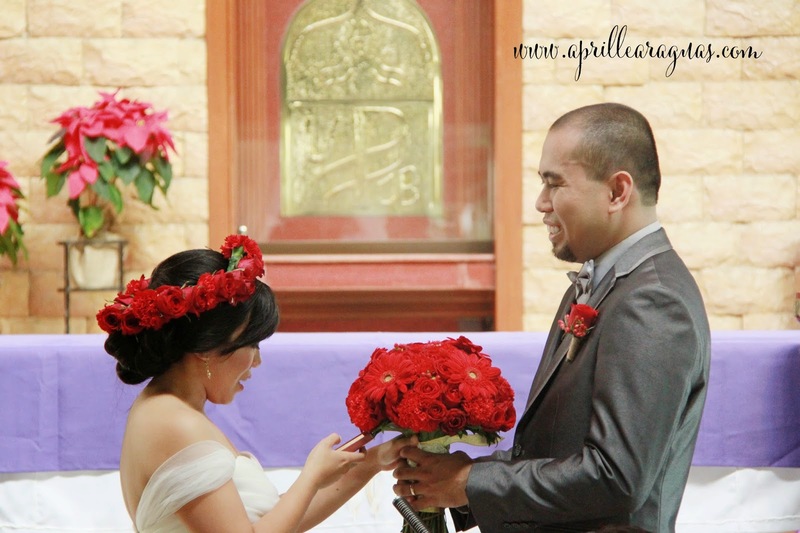 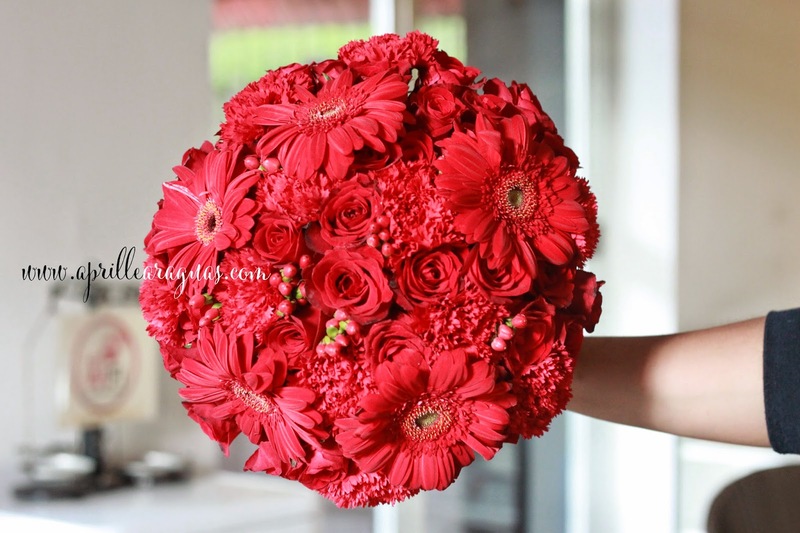 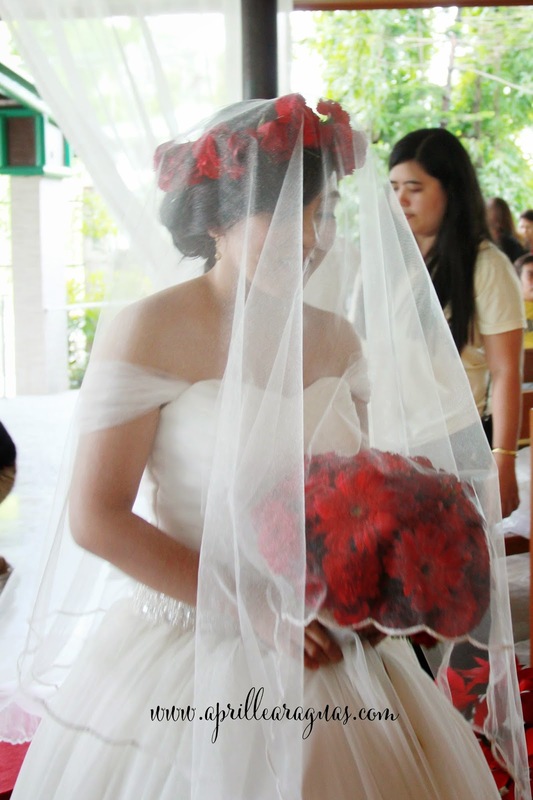 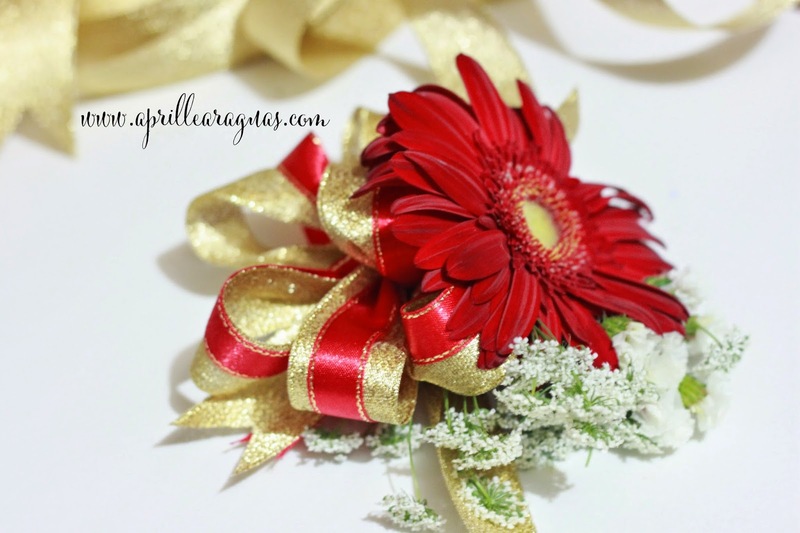 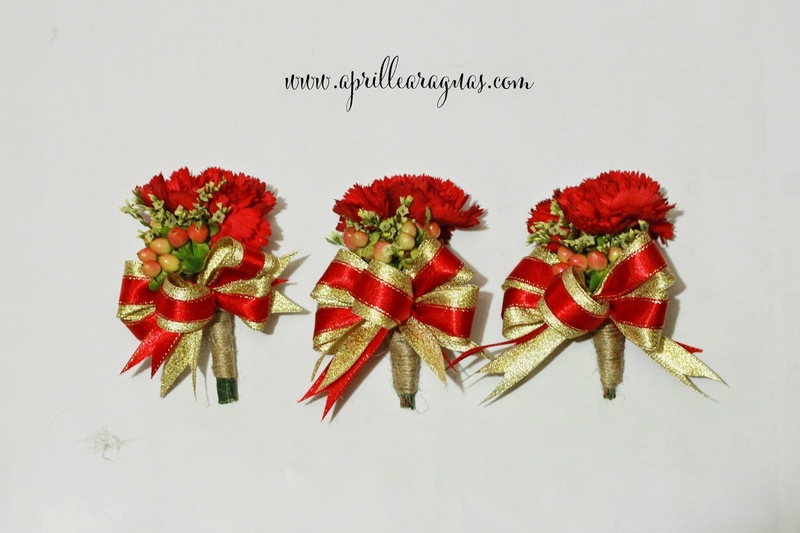 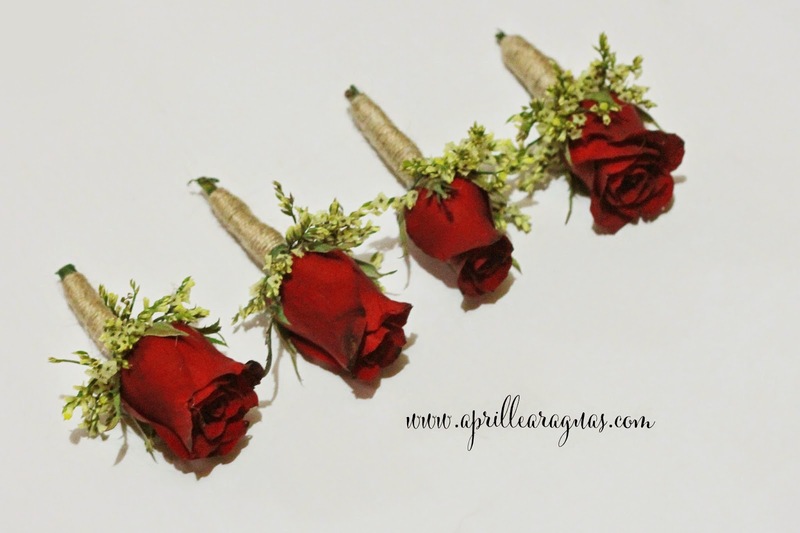 The wedding had a red motif and the bride requested for a crimson headdress to match her bridal bouquet. 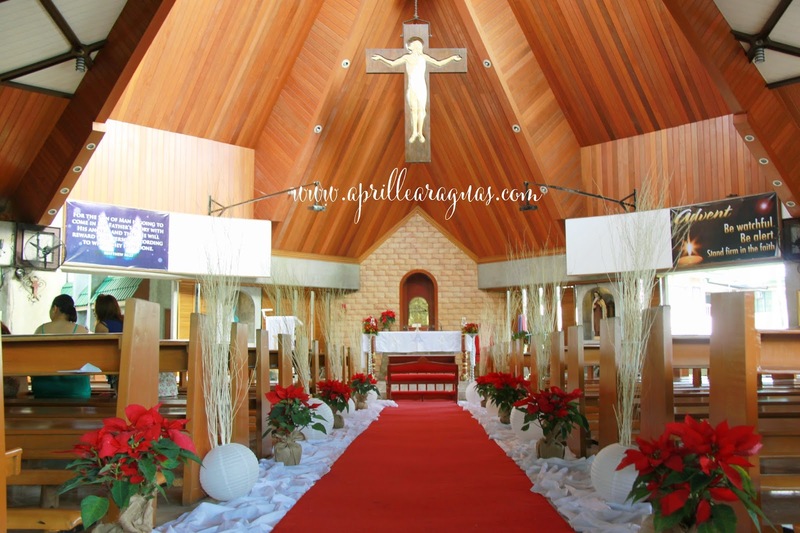 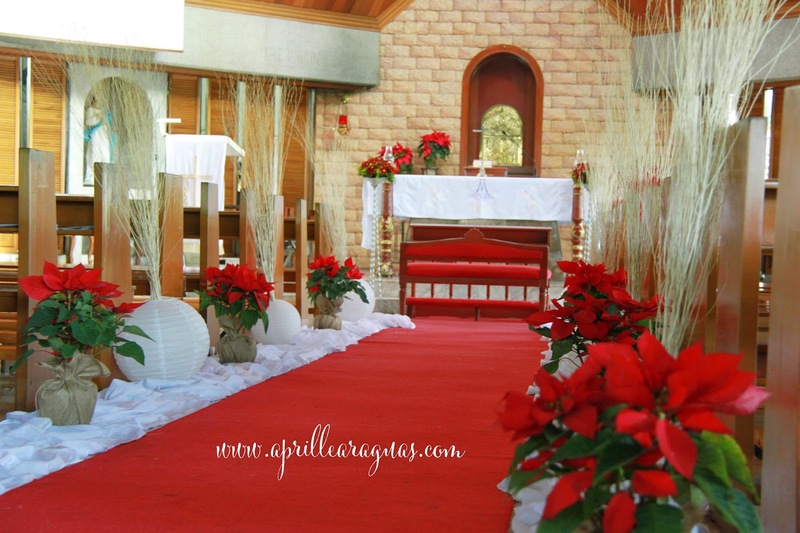 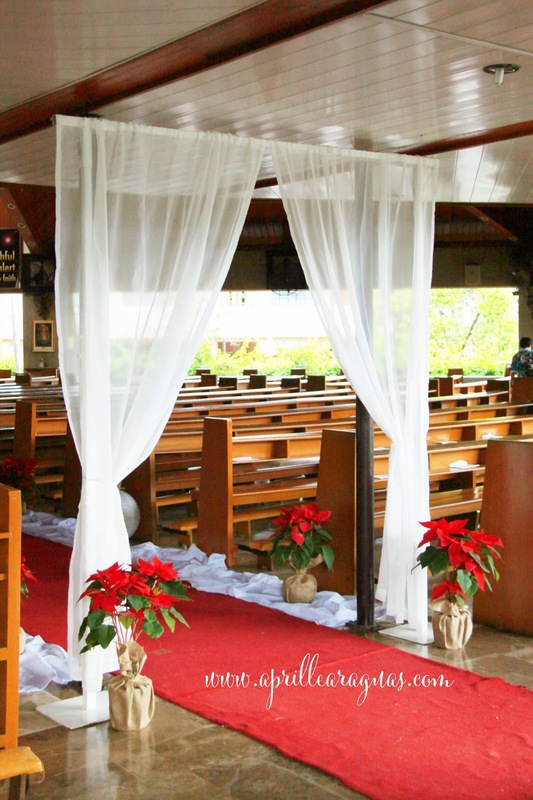 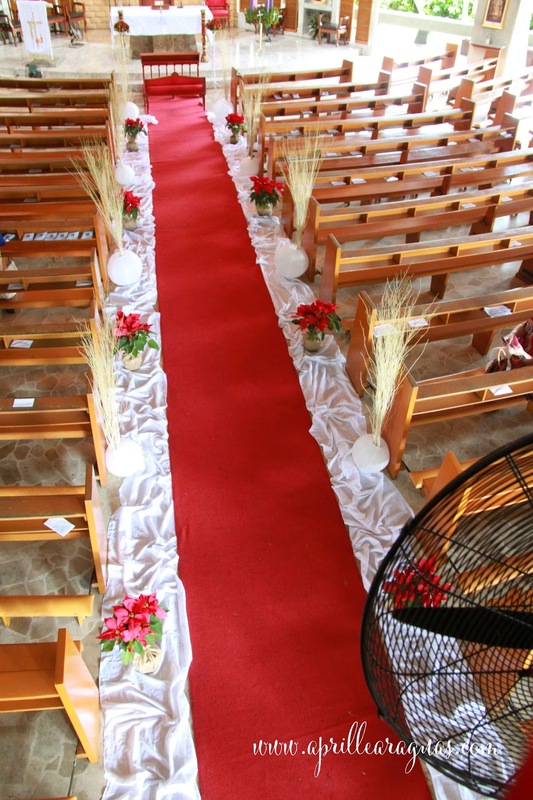 Poinsettia, a culturally and commercially important plant species of the diverse spurge family that is indigenous to Mexico and Central America (source) was specifically requested by the bride to be used in the church aisle and our team added non-floral arrangements that when used together, matched the month of December's festive feel.